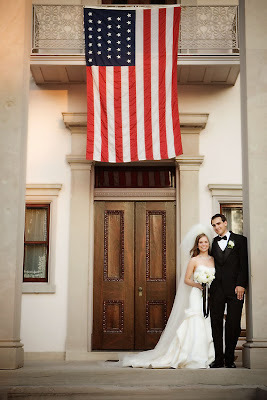 This gorgeous wedding, shot by Michael Norwood, is fantastic because of how elegant and fun it all looks. 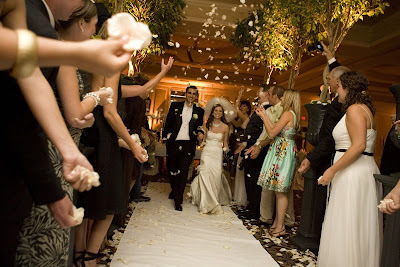 I hate to see those beautiful weddings that seem stuffy and uncomfortable, but there's no pretension here. 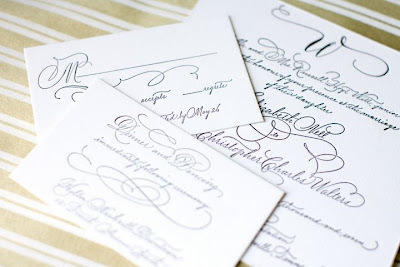 The bride actually did her own letterpress for her stationery suite, which makes her a total badass, and the fact that she dressed her bridesmaids in white only further illustrates her coolness. Plus, besides the fantastic tribute to Southern Americana with that Gone with the Wind photograph, the RC Cola and Moon Pie favors are so wonderfully tongue-in-cheek. 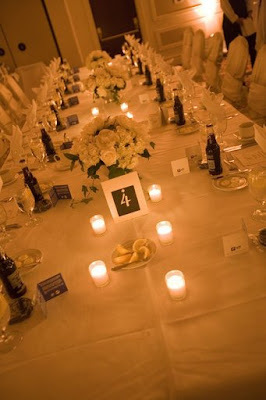 I love the low white flowers and the simple tablescapes. A fabulous Nashville affair, to be sure. Although what's with all the Tennesse I've been featuring lately?